Alanna Demetrius | The Phoenix Loyola’s Wellness Center said it will partner with an after-hours hotline service following student complaints about the mental health resources. 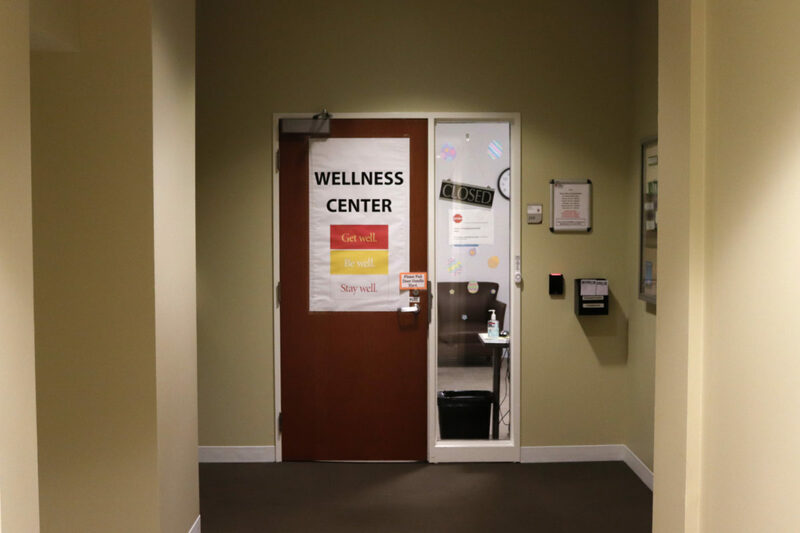 The Loyola Wellness Center is expected to partner with an after-hours, mental health crisis phone agency this August in response to a growing demand for mental health services from students. The agency, ProtoCall, was created in order to assist patients dealing with mental health crises — such as panic attacks or suicidal thoughts — during hours in which medical offices of all kinds, including the Wellness Center, are often closed, according to its website. This service will allow Loyola students and faculty members to speak to a mental health professional over the phone after the Wellness Center is closed, according to Wellness Center associate director David deBoer. The ProtoCall clinician will advise the caller on what to do in order to stay safe, then send information about the call to the Wellness Center so a Loyola health care professional can follow up the next day. Joan Holden, the Wellness Center’s director, said there wasn’t a specific incident which caused the new service, but rather a mix of different factors. Student requests for more mental health resources and specifically for a Loyola-specific after-hours number — rather than the more broad National Suicide hotline the Wellness Center provides — played a part in prompting the Wellness Center to request funds for this from the university, according to deBoer. It’s unclear how much money the service will cost. 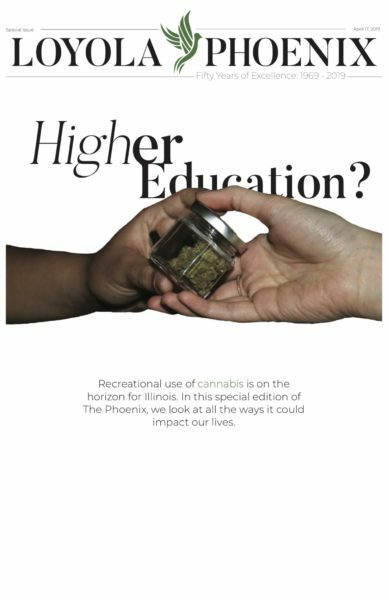 Students have been more likely to go to the Wellness Center for mental health services than in past years, which has motivated it to offer more resources and to add new employees dedicated to mental health, The Phoenix previouslyreported. For the eighth year in a row, instances of self-reported “threat to self” characteristics — such as a desire to hurt oneself, serious suicidal thoughts and suicide attempts — have increased across the country, according to a 2018 report by the Center for Collegiate Mental Health. Izze Rossiter, a first-year studying elementary education, said it’s important Loyola offers multiple mental health resources for students because it’s harder for students to do well if they’re not in a good psychological state. ProtoCall will have information about Loyola and its campuses so the clinician can give students specific advice, deBoer said. The goal is that the service will act as an extension of the Wellness Center staff. Becca Taplin, ProtoCall’s director of partner services, said the organization does a lot of research on the campuses it provides services for so its clinicians can provide specific advice for students. In addition, its employees are available 24 hours a day and specifically trained in phone call intervention. 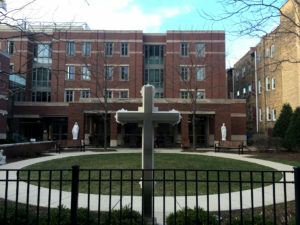 DePaul University’s after-hours crisis care consists of its university public safety number and a local hospital hotline that isn’t connected to the school, its website states, which is similar to Loyola’s current system. University of Illinois at Chicago’s care includes its campus police’s number and a hotline run by volunteers trained by the university, according to its website. Currently, the after-hours crisis care consists of a Wellness Center employee taking a cellphone home with them and answering calls from Residence Life or Campus Safety if either group has questions about how to help a student in a mental health crisis situation, according to deBoer. For example, they might advise on whether the student needs to go to the hospital immediately or if it’s safe for them to schedule an appointment at the Wellness Center for the next day, deBoer said. deBoer said it’s difficult for employees to balance after-hours crisis calls with their daily duties. It’s also hard for them to give advice when they’re at home or potentially in the middle of other activities. The new resource is expected to improve the quality of care for students while also allowing Wellness Center employees to focus more on their daily duties. “It’s very hard for full-time staff to be seeing clients during the day — to manage the stress and work and strain of that — and then go home and get woken up in the middle of the night and still be able to be fresh the next day and be there for our clients,” deBoer said. With ProtoCall, the clinician who answers the phone will be dedicated solely to speaking to the caller. In addition, multiple calls can be answered at once, so theoretically more than one student can receive help at the same time if necessary, deBoer said. The new partnership won’t replace any existing services, it’ll just be an additional resource for students. It’s unclear exactly how the service will be marketed and if the number will be available on Loyola’s website, when students call the Wellness Center, or given specifically to existing therapy clients, deBoer said. However, he said the Wellness Center will finalize these details in the coming months. Rossiter said she thinks the new partnership with ProtoCall is a good start to improving after-hours mental health care. Rhealene Fowler, a junior studying environmental science, said it’s important the after-hours mental health care is high quality because it’s impossible to know when a student might need help.